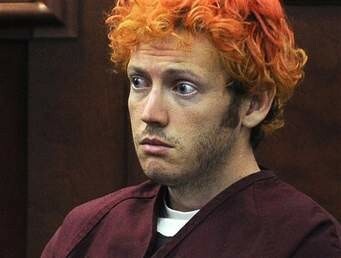 James Holmes killed 12 and injured countless others in the Aurora movie theater massacre back in 2012. A week ago he was sentenced to life in prison without the possibility of parole. Our condolences to the families who lost love ones in this mass shooting. At the same time we cry for the families of the victims, we must also appreciate the tragedy felt by the parents, Robert and Arlene Holmes. Arlene Holmes described her son as a human being gripped by severe mental illness. A neighbor had reported Holmes’s habit of smoking pot by the trash cans. Amazingly, Coloradans voted to legalize marijuana in 2012, the year this theater mass shooting happened. There is still much to learn about how marijuana triggers psychotic symptoms which can develop into schizophrenia, as well as how it makes the course of the disease much more difficult to treat. In recent years, two other marijuana users from California committed heinous crimes. Ashton Sacks who killed both parents and injured his brother in California in February 2014 was a heavy marijuana user. He had made previous suicide attempts, but blamed his parents for messing up his life. He was supposed to be attending community college in Seattle, but didn’t attend classes. Instead he smoked marijuana and played video games. He may have been motivated by money, and the role of marijuana in his life may help to his moral deprivation, or mental illness. John Patrick Bedell was another Californian who smoked marijuana as a teen and young man and thereafter exhibited signs of mental illness. Bedell became the Pentagon Shooter. These incidents give cause to speculate that Elliot Rodger, whose psychotic killing spree in an idyllic California university town, could also have been triggered by marijuana use. News accounts mention a “water pipe” in the group house where he and 3 other students lived. Water pipes or bongs are used to smoke marijuana. Elliot was suffering from depression and paranoia, which are symptoms of pot use. Prior to killing 6 victims, Rogers wrote a lengthy manifesto and posted a number of YouTube videos which depict his unbalanced mental state. Remarkable is the only word to describe our nation’s complacency toward marijuana abuse and the astonishing connection to heinous crime! Anybody, anywhere who happens to read on this website, PLEASE! Recreational drugs are scientifically proven to have a connection to mental illness. Marijuana, especially, has a known correlation with schizophrenia. Myriads of the world’s most notorious criminals perpetrating barbaric atrocities are mentally influenced by the cannabinoids! ISIS and ALL the other terrorist organizations are using heavy amounts of drugs- before and during radicalization processes and often while committing acts of terror. And the only drug deeply rooted in terrorist history (going back to the origin of the ‘assassins’) is hashish, the concentrate of marijuana. The media downplays the astonishing correlation with marijuana abuse and barbaric acts. This topic is actively and unquestionably subdued or ignored. Many in the sciences likely have their suspicions, but their careers are on the line by suggesting a connection. Many of the politicians think marijuana legalization is merely a libertarian issue. But doesn’t the libertarian angle end after several assassins or would-be assassins are shown to be pot heads? What about the Boston Marathon Bombing, or the Oklahoma City bombing, both perpetrated by heavy abusers of marijuana? Libertarianism has its limits! Nearly all if not all of our domestic, radical Islamic attacks are ALSO being committed by individuals who generally have tenuous connections to Islam, but who do have histories of mental illness and marijuana abuse. Then note that many of our domestic drug gangs who commit murders and shootings do test positive for drug abuse at very high rates, of which marijuana is about 54%. They’re influenced by the cannabinoids. Note that so, so many of the random murders in our society, school or mall shootings, bombings or attempts, assassinations or attempts, etc. are being committed by individuals or groups who have history of marijuana abuse. Please research yourself, google just about any criminal’s name and marijuana and discover for yourself. Find arrest record history, anecdotes, forums, or whatever. Astonishing! And these are just the ones who do have searchable history. Records of many others are simply sealed and unavailable. Naturally as everyone knows, CORRELATION IS NOT CAUSATION! But this correlation is amazing and should warrant concern at the national level. Here’s the process that may be occurring with marijuana: The Arabs knew hundreds of years ago that hashish could be used as an instrument to coordinate assassinations with susceptible individuals. The process is one of brainwashing under the influence of the cannabinoids. Whether legend or fact, this process seems to be used to this very day. Abandoned camps of terrorist groups reveal stunning amounts of drugs and paraphernalia. Members who escape testify the same. The would-be bombers in Afghanistan, for instance, are invariably under the influence of hashish. The same applies to the Palestinian suicide bombers. Women are NOT relinquishing their children to be blown up in the name of Islam as a protest to Israel. No, those children are hijacked from families, given hashish and instructed to blow themselves up in public places. The families of those children are threatened and terrorized as well if they resist. Marijuana has some 300-500 chemicals, of which 100 are cannabinoids. About 80 of those cannabinoids are active, and can influence the brain. MRI studies do show that pot smokers’ brains are drastically affected (or a connection is established). Their brains appear to re-wire neurons, and it also appears the cannabinoids affect the very part of the brain that harbors empathy for life and inhibition. It does not take a rocket scientist to at least wonder if the cannabinoids really are affecting that part of the brain to a degree that some abusers of marijuana really are losing their empathy for life and inhibition. Perhaps some abusers are releasing their anger and killing instinct that would normally have been inhibited. The neural re-wiring, ie enhanced connectivity, is interesting too. Could it be the Islamic terrorists are using marijuana or hashish in conjunction with radical ideology? That is, their brains are learning via association. At least with cocaine, it is known that laboratory mice will ‘learn’ pathways, i.e. behavior, that lead them to more cocaine, and that they will choose cocaine over food. It could be the radicalization process is about ‘learning’ hate and terror techniques in conjunction with the brain’s neural re-wiring during hashish abuse. Like the mice, they are ‘learning’ to love the cannabinoids. Perhaps at the chemical level, their brains are geared for hashish, and their actions do whatever necessary in order to protect that order. A gigantic problem for understanding what is happening is that most think the real harms from marijuana are only from being “under the influence”, when in reality, it’s the drastic alteration of the brain that are the real, long term hazards that may surface even when those abusers seem ‘clean and off drugs’. The brain is already re-wired and potentially dangerous. It could be too, we have millions of Americans whose brains have become re-wired favorably toward marijuana. They think and act, like the laboratory mice, in manners that will be favorable for marijuana access. They may not even be actively using or pursuing marijuana, but their brains’ neurons are re-wired favorably. They have not lost their inhibitions or empathy for life, but their minds have learned via association (instead of terrorist radicalization) to love pot, music, certain politics, etc. But this also means that myriads of others may have pot favorable brain wiring too. The media especially where this appears to be in effect now, poses a huge challenge for our nation. Or just think how truly insane this ‘medical marijuana’ movement is. Sure, yep, maybe there are some benefits with CBD, or THC as they affect the endo-cannabinoid system in seriously ill patients. Otherwise, it’s all a giant hoax, a lie that betrays the Hippocratic Oath. Just imagine, create tens or hundreds of thousands of marijuana addicts in the name of medicine! Or equally horrific, create as many marijuana addicts and habitual users for states’ tax revenues. Imagine, the state as the drug pusher! Somehow we need to get our politicians to listen. They in turn can pressure scientific research into the potential harms our nation may face as we move toward marijuana complacency. It will take an effort the size of say the Warren Commission to investigate and analyze why so, so many of the murderers in our society are using marijuana. It all may be totally innocent. Maybe all it is is some weird correlation, mere chance. But we must wonder and heed the potentially disastrous course our country may be taking. Would anybody in their right mind play Russian Roulette with say three bullets in the chamber. The trigger may hit an empty chamber, and all is fine and fun. Or the trigger may hit a live bullet. So, why are we playing this stupid game!? We may just need a leading scientist of none less than the caliber of a Galileo to counter the orthodoxy of this new ‘marijuana’ religion that is overcoming us. Excellent response, you have put into words what I’ve been suspecting for quite awhile, to the point where every time I now hear of some outrageous heinous deed I suspect pot influence. These points you made definitely need to be part of the conversation. Thanks for link. Unfortunately it is currently down and unviewable. But I have seen similar references to that affect regarding the Nazis. The radical Islamists appear to use amphetamines as well during acts of terror. Please Google search Captagon and terrorism to see as well. A possible procedure for the terrorists begins with brainwashing susceptible recruits with a variety of drugs, including the cannabinoids, which may be re-wiring the brain as instructed during the radicalization process. They thus become full of hate and anger, ideological maniacs in essence, and then are ‘programmed’ to commit terrorist acts when the opportunities arise. So their minds are already adversely affected by cannabinoid induced radicalization. Yet during acts of terror, they may still use hashish or other drugs, but often, as with ISIS, the process probably involves the amphetamines. Captagon is said to be one of those amphetamines, probably equivalent to crystal meth, that the terrorists use which renders them berserk, wild and suicidal. One must wonder if this was the process used with the 9/11 attacks. That is first radicalization with cannabinoids and other drugs as part of brainwashing, then programming to commit acts in the name of Islam, then during the acts they take amphetamines such as Captagon. Which might explain why they were impossible to subdue on the airplanes. Let me add that from MRI research, marijuana appears to affect the part of the brain that harbors empathy for life and inhibition. Perhaps a certain, more vulnerable subset of the population of drug abusers are losing the mind’s ability to regulate empathy and inhibition. If those individuals are innately aggressive, or live have violent environments, or influenced by radical ideological indoctrination, perhaps depletion of gray matter in that area of the brain enables those individuals to unleash their warped anger on others by acts of terror- anger that may have otherwise been suppressed by the mind’s ability to regulate empathy and inhibition. That might explain why many people who use marijuana who are not violent. Their brains are already developed to maturity, and they may be less genetically susceptible, and/or from healthy lifestyles, such as good nutrition, that render their minds more impervious to the adverse affects of marijuana or hashish. Others who are begin young, are genetically vulnerable, or who live in adverse environmental conditions or who have poor nutrition and live unhealthy lifestyles, may be more vulnerable to the affects of marijuana. And maybe the re-wiring that occurs, that is the enhance connectivity of neurons from smoking pot, may substitute for the loss of gray matter. Maybe empathy and inhibition are re-constituted with that re-wiring, whereas for some, that process is incomplete or goes haywire somehow. Nobody knows, but there MUST be something going on to that extent. We need the science, and we need the political drive from the political class to investigate and sponsor research. Myriads of the cops being shot, for instance, often murdered by drug dealers and abusers might not be because of the illegality of drugs, as most of society assumes, but in reality because those sociopaths have brains that have lost natural empathy and inhibition from repeated marijuana abuse. The science we need to answer these big questions is so excruciatingly slow. I just want to point out that it appears many of the recent Paris attackers were using a lot of marijuana. Do a Google search and you would think that Congressmen, scientists, anybody in the medical fields, etc. would at the very least be noting this ever consistent connection. The media continually fails to report this. It should be headline news, stirring major controversy all over the world. People should be shouting, politicians should be wondering, etc. The whole tenor should be: ” Say what? America is on the verge of legalizing the very drug, marijuana or hashish, that is also abused by all the terrorists! What if the cannabinoids actually are inadvertently ‘manufacturing’ terrorists?” And nobody is asking the medical field to assure us pot will not lead to more terrorism? Instead any references in the media are STILL mere footnotes, as though mind altering drug abuse could not possibly have any connection to the altered minds of the terrorists. It’s all so odd. At the very least, with the Paris attackers (twice this year) and the others, it should be noted that these individuals are not very devout Muslims. The general narrative has always been that the most extreme, devout Muslims are so wrapped up in their religion, they lash out around the world at infidels. Not the case. It appears instead that they are all individuals with a grudge, who smoke a lot of dope, (which might make them mentally vulnerable to brainwashing), and then somehow receive radical jihadist training so they can vent their rage. But note too, many of our own domestic sociopaths, Islamic or not, follow the same path. The have passionate grudges, they smoke a lot of dope, and somehow in their deranged views of the world, vent their rage also via violent attacks. We might erringly be focusing too much on Islam, when in reality the core of this madness could be mental derangement from the cannabinoids in conjunction with anger. Just a few examples to make the above point. The Paris attackers (twice this year)seem to have similar characteristics; They smoke a lot of dope, they hang out with ideologically passionate groups with similar ideas, that are antagonistic to the West’s bombing of Syria, and involvement in the Middle East. They even say their motives are revenge. And they are described as not very devout Muslims. The most extreme lash out with violent acts of vengeance, so we ascribe the violence to being that of Islamic terrorism. Then in the US, we have cases like Jared Loughner, politically and ideologically angry, smokes a lot of dope, and also vents that rage via violent acts of vengeance assassination. We ascribe that to right-wing anger. The Tsarnaevs acted very similarly, smoked a lot of dope, despised US involvement in Iraq and Afghanistan, and lashed out with the Boston Marathon bombing. Since they have a modicum of affiliation with Islam, we blame this as another case of radical Islam. Ismaely Brinseley, also smoked dope, had anger over ‘police brutality’, murdered two cops in NYC and then killed himself. They are all smoking a lot of dope, and very, very likely their minds are being altered because of it, enough so they are homicidal. This pattern repeats over and over again, year after year, thousands, maybe tens of thousands of them, yet nobody of any national presence even addresses this unusual correlation, let alone wonders if their is a medical cause and effect. It would not surprise me that every cop that has been murdered in the US in the last fifty years, aside from drunken cases and domestic disturbance, was killed by an abuser of marijuana. Just because myriads more can smoke dope and not be homicidal, does not necessarily mean that a small minority of others who smoke a lot of dope can’t become mentally deranged because of it. Somebody up there in the high echelons of government has got to quit dismissing our concerns as “anti-marijuana zealotry” and wake up to the distinct possibility that because of marijuana proliferation, we might be creating myriads more future terrorists, Islamic or not. This is just not right. Thank you. Just this morning I was wondering how we all got the notion that the Tsarnaevs were inspired by radical Islam. I guess there was some tenuous connection, but the brothers never went overseas (as far as I know) and they obviously were not very devout Muslims (if at all). The younger brother admitted the motive was anger over US involvement in the Middle East. It seems to me this all follows a very consistent pattern: a grudge or some anger, likely amongst a group holding similar ideological resentment, use of a lot of marijuana, and then later venting that rage through violent acts, as though the brain is seeking some kind of mental satisfaction. So, exactly how did radical Islam fit in? I generally refrain from politicization on this forum primarily because the importance and potential harms of this drug movement transcend politics. Plus there is the risk that politicizing marijuana might appear to have other underlying motives, which it doesn’t in my case, for the record. However, I am struck by the left’s generally more favorable stance to marijuana and drugs in general. I suspect the 2016 elections will be a pivotal year, which will in all probability result in greater legalization among many states. But that’s not why I am writing today! I am thinking about the big picture, the grand irony- the potential tragedy actually. Specifically let’s observe the beliefs and statements by presidential contender, Bernie Sanders. He recently went full bore in favor of national marijuana legalization. And then in the wake of the recent Paris terrorist attacks, Sanders says he believes that barbarity is ultimately a result of Global Warming. If I interpret correctly, and was not mislead, the gist is warmer temperatures globally are increasing severely enough in the Middle East, where temperatures are already very high, a tipping point of excessive heat is fomenting that anger. Really? Now, if one subscribes to our cannabis induced mental illness theory, or at least has curiosity piqued, all this terrorist madness about the world, many of our cops being murdered, many of the school and mall shootings, or bombings, and so many senseless homicides in general, is NOT ‘rooted’ in Islam, or Christianity, or Global Warming, but in the very cannabinoids Sanders is essentially promoting for America! Another correction: Apparently the Tsarnaev brothers were born overseas, and then came to America. But the point is, there was subsequently not any traveling back in forth, once the Tsarnaev family emigrated to the United States in 2002, seeking political asylum. Say, let me offer a bit of an apology for previous, sensational commentary regarding the role marijuana seems to play with terrorism and many of the psychopaths! Though I am not back- tracking about my concerns over the harms to society from marijuana and many other drugs, and still do think they are indeed under-appreciated, I have learned a bit more about the difficult to comprehend science around it. It’s real easy to make correlations and jump to conclusions like I have thus far, and who can blame me or anyone who sees all the drugs used by the psychopaths and not conclude that maybe those drugs are driving the madness. But there are so many other variables, and so much more depth to all this, I think it’s best and wise to still be alarmed and concerned, but not wise to assert causal correlation to the madness. So I guess my newest, revised perspective is to realize that drugs seriously do play a role often with the minds of the psychopath and drugs can be a menace to society. Yet the drugs themselves are not necessarily the catalyst for mental illness that leads to the madness. They are like secondary factors that are part of a much larger complex of variables, is the best way I can think to describe it. It’s hard to grasp, I know, but I do think now my sensationalist alarm over marijuana to this point, as regards its seeming correlation to terrorism, and myriads of other senseless crimes, has been over-the-top (unintentionally), for which I apologize. Just as I think the intentional cover-up to protect marijuana that does exist throughout the media is irresponsible, it would be equally irresponsible for me not to acknowledge my latest realizations which might unduly and unnecessarily alarm others beyond what is reasonable. I’ve been shooting from the hip, so to speak, with greater emphasis on emotion, rather than reason! You are not sensationalist, as neurological researchers back you up. It is the lack of curiosity in our Press that is amazing. One pharmacologist we consulted (20 years experience researching schizophrenia) says that marijuana tweaks the brain more than any other drug. Thanks. The lack of curiosity from the Press is mainly because the Press is favorable toward marijuana. There are other reasons too, but yes, the Press is generally biased in favor. Interesting news just surfaced with the San Bernardino terrorist attack. Apparently the ‘accomplice’ or acquaintance, mention in social chatting he was involved with “drugs.” Which almost invariably implies marijuana. We can only hope we get all the facts, despite the obstinance of the Press in reporting certain aspects of the news. Very likely, the Marquez, I suspect, abused drugs himself, and shared the with others, such as the terrorists themselves. Hopefully we will find out one way or another. Once again, I see now why it is important not to ‘proclaim’ a causal connection between the drugs, the mental illness, and eventually the acts of terror, because the actual scientific connection, as in hard, cold, irrefutable fact, is extremely elusive. But to state drugs “enabled” the mind of susceptible individuals to lower its inhibitory threshold, while altering mood and and behavior, as well as rendering the mind more susceptible to brainwashing propaganda, is a very valid description of the process. Two of other primary reasons the Press ignores the correlation between drug abuse, mental illness and possible violent acts, is one: The Press gets a lot of political mileage from blaming guns. Harping on the “gun culture” creates the illusion that ‘too many’ guns are at the core of the madness, which in turn, slyly incriminates much of the right, because conservatives comprise much of the gun ownership in the western rural areas. So they will defend the 2nd Amendment (did I mention all this already?). Thus our political climate revolves around the left blaming guns for the madness, while the perception is made for the public that the right is guilty as sin for ‘advocating’ gun ownership. Of course, the reality is the general killing madness we see ‘from guns’ is primary around the drug trade, and various connections to drugs within the major cities- an inconvenient fact that is intentionally ignored, and shameful. This is just getting ridiculous. Medical science shows marijuana and all recreational drugs can affect mood and behavior and induce psychological issues such as schizophrenia. Not everyone who uses marijuana will become a sociopath, just like not everyone who smokes will get cancer, or who drinks will become alcoholic. But some will, and some recreational ddrug abusers will either induce or exacerbate underlying mental illness. We are a country in denial. Time and time again, these “lone wolf terrorists”, whether they have an affiliation with Islam or not, have one ubiquitous commonality: They smoke a lot of marijuana. If we can’t at least wonder if the marijuana used by the 9/11 attackers may possibly have adversely influenced their thought processes, or Holmes, or a zillion others, ALL the same, what will it take for our national wake-up call, a nuclear bomb? Just today, I notice an article of another psychopath, Adnan Syed. So, just typing his name and marijuana, sure enough, he smoked a lot of “weed” in his youth. The pattern is phenomenal! Finally, a little insight into the minds of the Mexican drug cartels emerges. The standard narrative is that drug use is minimal in Mexico, and the gangs and cartels are merely dealers who seldom touch the stuff. Well, not so actually. The drug cartel prison riots recently revealed that marijuana was commonplace there. And there are some first hand observations of drug cartel members deep in the heart of Mexico high on marijuana. You know what? I bet marijuana runs rampant among all the drug dealers in Mexico. A bit more insight reveals the cartels are cult-like in nature, a kind of religion I guess. AND catch this, they recruit from the marginalized of society, namely those with existing drug problems! What does this mean? Put two and two together and it implies that cartel members use marijuana and other drugs prolifically, and many if not all, use marijuana starting in adolescence or even younger. It could be by circumstance (can’t really blame them), their minds never fully develop, maintaining basic emotions only, and they have lost all empathy for life for others or their own. And they have lost inhibitions. THC is proven by MRI studies to affect those very parts of the brain. So when you read about the utterly brutal atrocities, it’s not the extremes of capitalism causing this, no instead, imo, it’s mental derangement from prolonged abuse of marijuana that enables weakened minds to commit the atrocities. Americans who use pot, especially middle class, are already privileged with generally healthy lifestyles, medical care and good nutrition. So this group can’t comprehend what’s going on. They think marijuana is harmless, even some kind of healthy cure all miracle herb. Or in part they don’t want to because they are addicted, or partially addicted, or merely in love with marijuana. They could not care less about the horrors in Mexico, as long as they get their drugs. Everything that exists in Mexico with the gangs and cartels, and their drug using culture that yields susceptible brains, is ripe for the exact same kind of terrorist infiltration coming from the radicals of the Middle East. In my opinion, it’s simply a matter of time before the already violent Mexican cartels metamorphose into terrorist organizations will emerge and become threats to the USA. Heaven forbid, but it appears the conditions are already brewing. For the last hour, I have been brushing up on how drugs affect the brain, the basic underlying science. Not an ‘expert’ by any means, but it is real easy to understand that ALL the recreational drugs do very weird things to the brain, and often alter brain structure permanently depending on the type of drug, age of onset, heredity, potency, duration and lifestyles. Everybody knows heroin is wicked, that cocaine is extremely addictive and mind altering, but this ongoing notion within much of our culture that marijuana is somehow “benign” is a complete illusion. I recommend to anybody to simply Google search marijuana and brain science. The changes, the numerous areas of the brain affected, the long term damage, the mood and behavioral changes, the risk of mental illness such as schizophrenia, the potential to destroy or drastically modify the basic natural reward/pleasure system, and permanent interference within myriads of brain neurons is outright scary! If a casual observer happens across this board, please understand we are not some kind of “oddball anti-marijuana zealotry” movement. If all this marijuana culture only had temporary effects on abusers simply looking for pleasure who pose no real threats to themselves or anyone else, then fine! But instead we are seeing drastic changes across our beloved America that will change us on an irreversible and potentially dangerous course. If you read the science available, you will soon realize that it’s not really a wide leap of faith to suspect that drug induced brain alteration (including the permanent effects of marijuana) is very likely at root of so, so much violence today. Recently in the news there was some severely deranged individual in Arizona who gouged out one of his own eyes, and cut off his hand. Creepy, but actually saddening to hear that this sort of personal tragedy occurs. Well, note too, the guy also indulged heavily in marijuana. Might not be any cause and effect here, who knows, but considering that so much of this weird stuff is coming from some who use considerable amounts of marijuana (or some who simply ingest pot edibles, as in Colorado two or three times so far), more big red arrows are pointing at marijuana behind the madness. Another odd shooting incident in NYC. The perpetrator is Jamal Funes. Marijuana involved? Of course! Here’s a description by the wife: The mother of three of Funes’ children said he deteriorated after they divorced in 2014. Anyway a personal media search on this individual reveals that one of his school cohorts mentioned that once in a while the two would “share a smoke”, which in all probability is also code for marijuana. Besides, cigarettes are out of favor now, while marijuana takes over. Phoenix police say a man who shot his parents and two sisters in a shooting and house fire that left all five dead had a history of drug abuse. Another bizarre murder case in Queens recently. If you are aware of this sinister correlation, right away you wonder if there is a connection to marijuana. To find anything connected naturally implies a heavy user, as casual or seldom users are hardly ever getting arrested for pot, nor is their use making any news. This is NOT normal American behavior! Marijuana is messing up their minds. They are in delusional states, well beyond the intoxication phase. It’s so obvious, it is getting ridiculous. Yet no one in the national media, the federal or state governments, etc. is catching onto this, or at least wondering about drug induced psychosis as related to violent acts? If any volunteers upon this thread want to help, one topic of interest to me is what if any connection the 1993 World Trade Center bombers had to marijuana and other drugs. There’s already reliable evidence that the 911 terrorists used marijuana, plus many of the lone wolf terrorists, and so forth did as well (if not all), but I have yet to see what if any connection there is with drug abuse and the 1993 bombers. However, I have noticed those 1993 perpetrators were dealing drugs, opium, and very likely this would imply they too were druggies. But nothing I’ve seen yet that is ‘smoking gun’ evidence. It is a big start but we still have a ‘missing link’, and this would aid our understanding greatly I think. Anybody care to research them too? Drugs again, implying marijuana or hashish. Drug abuse information about the others is hard to come by. Media would stop ignoring the obvious. Here’s a bit of interesting scientific research suggesting a genetic component puts about 1% of cannabis users at risk of psychosis. A few names of many that come to mind are Loughner, Holmes, Roof, Dear, Rudolf, etc, for instance. So, of say a million marijuana users, 1% would mean about ten thousand users are vulnerable. Of say 20 million users, 200,000 (if I have my math right). Wow! Oh, and to quickly follow up, the article explains those symptoms can be for a very long time too, not simply during intoxication phase. are 30% or more, more people will experience this problem. And there were more bombings in Turkey lately, credited to Kurdish radicals. A quick google search about that group immediately reveals another extensive correlation with marijuana, presumably abuse as well as distribution. Dear authors. What you claim here is academics call a spurious relationship. If you can’t understand such simple facts, you should possibly stay away from publishing them. No website will ever erase the truth, that prohibition causes more harm to the people than any drug ever could. Alex, if by chance you can substantiate what you call “spurious facts”, please respond. I am curious. The truth is the ‘facts’ are all over and confirmed many times over that many if not most or all the weird, killing rampages are being committed by mentally unstable individuals with histories of drug abuse. If you can offer contrary evidence, let’s hear all about it. Let’s see, since you wrote we’ve had a few more mass murders and all of those were not surprisingly connected to marijuana too! Omar Mateen, Mohamed Bouhlel, this one in Austin, Texas (forgot the name). Over and over again we must suspect how marijuana might be adversely affecting the brain. Tell me Alex, please with all due respect, why does this astonishing correlation not at least pique your interest? If we are wondering what might be altering their minds in devious ways, why not wonder if mind-altering drugs are a factor? Why is society ignoring the obvious? I don’t look at this as a ‘spurious’ relationship, but instead certainly a very curious relationship!